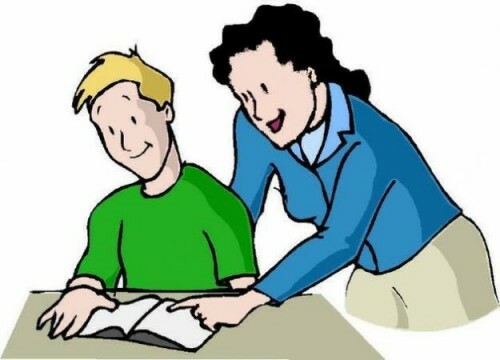 In order for the tutoring sessions to be efficient, it is essential that a good relationship be established between the tutor and the student. Often, this relationship is created quickly, but at other times, it may take a few sessions before the student opens up. The success of this relationship reveals the personalities of each of them, but it also demonstrates the tutor’s pedagogical qualities. School Success presents five essential ones here! With individual tutoring, you must adapt yourself to every case. Since there is no pre-determined formula, the tutor’s approach must depend on the student’s need and the particular difficulties he or she experiences. Throughout the sessions, the tutor will have to re-evaluate the student’s objectives as they progress. It is therefore important not to be afraid of creating a new action plan that will be better adapted to each new situation. In order to establish a good relationship, the tutor must be an energetic person, someone with a lot of enthusiasm with respect to human interactions. This interest will certainly have a positive impact on a child discouraged by school and his or her bad grades. Through his or her good mood and motivation, the tutor will be a model for success, inciting the child to imply himself or herself more and do better at school. Listening to the needs of the child and demonstrating openness will help to better understand a student’s situation. Inquiring about the context (academic situation, environment at school, at home, etc.) allows the adoption of a more appropriate follow-up and the better use of work methods. The tutor’s involvement and presence offers support for a student in trouble and will make the student feel valued. The tutor’s openness must demonstrate their accessibility and involvement. A good tutor must be curious by and interested in the student they are helping. Even though we think we have most of the subject matter on the tips of our fingers, it may happen that some concepts escape us. It’s normal, we can’t know everything, and we must be able to recognize this. It is in fact preferable to tell the student that we don’t know the answer rather than guess it. In other situations, where the personalities don’t mix or when the sessions are not producing the desired affect, it is important to take a step back and admit that we may not be the right person to help this student. In order to benefit fully from a good tutor, he or she must also have the parents’ trust. Right from the first meeting, we often invite the parents to communicate their expectation with respect to the tutoring sessions, but also to get to know the tutor and understand the nature of his or her work. This collaboration is beneficial to the success of a student who has been well supervised and has had his efforts well supported. At School Success, we select our candidates according to specific criteria, allowing us to provide you with quality service!